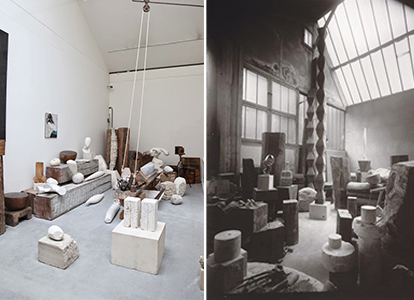 As we are beginning our Paris Tours this September we thought we’d focus on some inspirational studios there. It’s not often we get to really peek inside an artists studio, making it so inspirational to see. 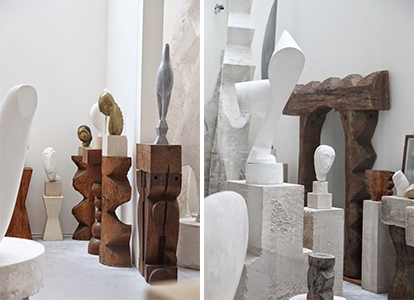 When Sculptor Constantine Brancusi died in 1957 he donated his studio and contents to the French state under the condition that his workshop be rebuilt as it was on the day he died. 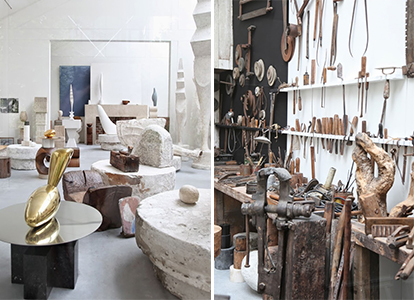 The reconstructed studio is situated next to the Pompidou Centre and open to the public free of charge. We’re looking forward to visiting on our next research trip to Paris!